Awesome, thanks guys! Should be able to walk the right line now - fingers crossed. Hope to come back with some photos soon! Follow the cable! What you will discover between CP and the Top Station Restaurant is two rows of very thick lift cable. It starts up the hill a bit. More photos at http://imgur.com/a/aoet9 - enjoy! 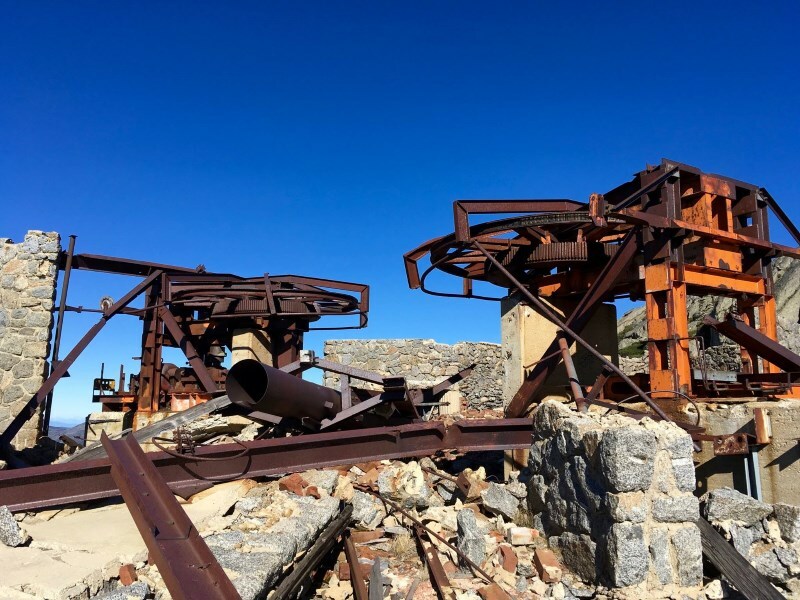 It was definitely a fascinating piece of history to see and the hike up to it from Charlotte Pass throws some amazing views your way. Recommend it! NewTurns, skifree, AJS and 6 others like this. I was just looking back through this thread and many of the linked pictures no longer exist. Are any of the ruins visible on Google Earth or Google Maps? From the NSW gummint app called SIX Maps. It provides higher res photo images of the land than google maps. NewTurns, DidSurfNowSki, Majikthise and 1 other person like this. skifree, person s, LaNeige and 2 others like this. I have just uploaded some old home movie footage to YouTube that I'm pretty sure is someone riding the chairlift & another shot from below, Its very short but after looking at photos I'm pretty convinced. Please correct me if i'm wrong. Majikthise, Zeroz, Loose Binding and 6 others like this. Great film. Nice red rucksack too. I often wondered if there might be some film stock of the lift in operation. Here is another shot of it in operation from a loading station. Xwing, NewTurns, SAL and 4 others like this. Cuppa and Hanz Onyawaif like this. Majikthise and Hanz Onyawaif like this. I have more slides if people are interested, I'd love to know if you recognize these. AJS, Vermillion, NewTurns and 10 others like this. I thought I should post a photo of mum seeing as though she gave me the slides. AJS, VSG, Vermillion and 11 others like this. My dad performing barber duties. Sorry if photos are reversed or flipped I really don't have a clue. I'm not sure if all the images are working let me know. AJS, NewTurns, Hanz Onyawaif and 4 others like this. I also apologize if I have put these photos in the wrong thread, I am happy to have them moved or put in a new thread if required. AJS, Vermillion, Snow Blowey and 15 others like this. ausbob, NewTurns, currawong and 1 other person like this. ausbob and NewTurns like this. Cleaning snow off the towers 1960's style. Not much in the way of work place health and safety. skifree, whether, Majikthise and 5 others like this. That's pretty much it for the photo's I have. I will go back to mum and see if I can find some more slides/photos. AJS, Vermillion, Bloke and 16 others like this. Great shots! Just in time for Thredbo's 60th! ausbob and Hanz Onyawaif like this. Thanks for sharing, great photos! These photos are gold. Best new stuff on this seen for ages. ausbob and Fozzie Bear like this. Loved the one of them lifting a bullwheel into place with just manila ropes and block & tackle. As for the OH&S stuff, merely wearing hard hat at all times is not progress. Agree. What a find. MORE! But if you don't have any more, great stuff anyway. Great photos / slides Ausbob. I have a suspicion that the chair construction ones are actually of the Mt Perisher Double chair, not the Stilwell chair from Charlotte Pass to Alpine Way, nor the Snowgums lift at Thredbo. There are some great photos of the Sundeck Hotel and the Man From Snowy River Hotel with apartment block behind in Perisher Valley looking across Perisher Creek, with no Ski tube building in the way. The one with your Mum is definitely at Charlotte Pass with the Kosciuszko Chalet Hotel and Stillwell lift building in the valley floor. Can't place the one with the low loader truck with Transfield cable drum on it just about to cross the bridge though??? Must be on the way up to Perisher somewhere. Some great historical images there though regardless. Should be proud of your Dad and uncles involvement in a great construction project that is still there and operating today. Snow Blowey, Fozzie Bear and NewTurns like this. Thanks for the information, I had no idea with regards to any of the photos as I have only been to Thredbo once and that was about 20 years ago. 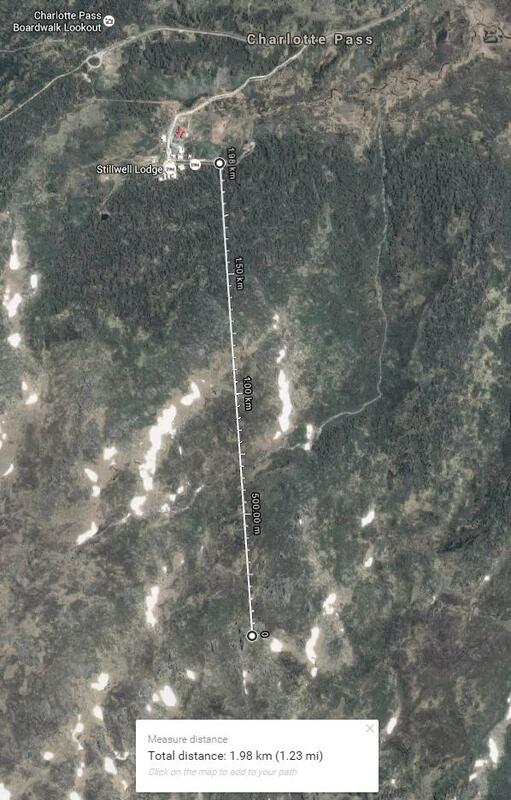 I spoke to dad, he said these pylons were placed at the top of Charlotte Pass, I'm not sure if anyone can confirm this. whether, VSG, SAL and 4 others like this. As teletripper suggested the chair construction photos are of the Mt Perisher double. First started operations in 1961 and still going strong. Your Dad and his colleagues built it to last. There is a really good article in one of the Perisher Historical Society newsletters on the construction. The construction team were held in awe. I read the newsletter, I suspect the Joe he was talking about was my dad (Giuseppe), so thanks for that link. shabu_shabu and climberman like this. Centre photo is Perisher double. I've got some photos taken from higher up on Mt P by my grandfather on my laptop. Will upload when I've got a chance on the weekend. Ok, found the photo taken by my grandfather. whether, SAL, Billy_Buttons and 2 others like this. I found some more slides, these next two are blurry but I think they are of the Thredbo -Charlotte pass chair. NewTurns, whether, Principal Douglas and 2 others like this. whether, SAL, Billy_Buttons and 1 other person like this. sly_karma, NewTurns, whether and 6 others like this.